Home » News » Every year around 3000 babies in the UK are born with a genetic condition. A small gift will help someone like Ben live a fulfilling life. This year’s Changing Lives is truly inspiring, showcasing the incredible impact that donations have made and continue to make on families’ lives, and the fabulous fundraising activities that make everything possible. 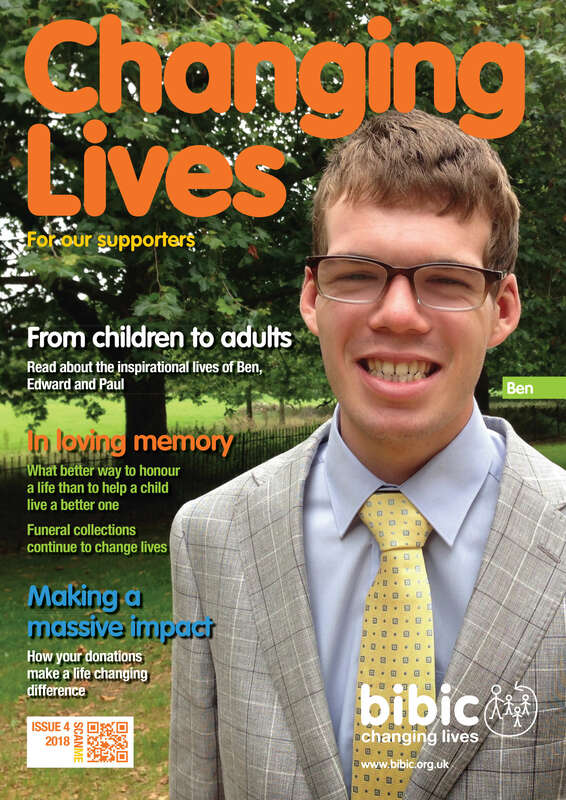 Ben, our front cover star, has a unique genetic condition affecting his communication, development and sight. People like Ben are often faced with a lifetime of challenges and uncertainty. We are so grateful to Ben’s Grandpops; his faith was so strong that he left a gift in his will to bibic, and a collection was held at his funeral to help Ben and others who need our help. The demand for our service is overwhelming. There are so many children and young people waiting for our help, struggling to cope at home and school. And because we receive no government funding, we can only continue our service with the amazing support of our donors, supporters, fundraisers, trusts and grants. Your support today, no matter how small, will provide a lifeline for a family who are desperate to help their child live a fulfilling live. You will be giving a family like Ben’s, hope for the future. To make a donation, please click here. To get involved and fundraise for us, please click here. Thank you. Your support means more than you’ll ever know.